Casa Ybel was the perfect place for a destination wedding. We had an intimate wedding gathering there this past January with close friends and family. Everyone had a magical time!!! The staff at Casa Ybel were consumate professionals and had all of the details covered. It began many months before the wedding. Our wedding coordinator, Tori Weatherford, walked us through each step of the process. She was helpful in recommending photographers, DJs, florists, etc. We were thrilled with all of their recommendations. And, they were flexible allowing us to add our own touches to make the occasion uniquely ours. 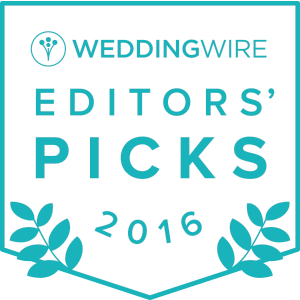 Mostly, she and the staff helped to ease the anxieties that come with planning one of the most important events in a lifetime. The resort is spectacular possessing a romantic blend of its historic roots with modern accoutrements. The food was excellent and we loved our wedding cake. Our suite had a gorgeous view of the Ocean and spectacular sunsets. Then there are the beaches there at the resort and the surrounding Island. The resort is conveniently nestled almost in the middle of the island close to shopping areas while still possessing the romantic feeling of a secluded get away. However, you really don’t even need to leave the resort if you’re so inclined. My wife and I love our wedding at Casa Ybel and can not wait to return for an anniversary celebration at some point. We recommend Casa Ybel and wish all you who are about to be married all the happiness and joy we have found together. And it all began at Casa Ybel!!! This entry was posted in Casa Ybel Wedding Reviews. Bookmark the permalink.